Why would you run marathons when you have bones that could break at any time? If you're Jennifer Jansonius, you do it for your daughter. When you’re running a marathon, what keeps you going, mile after mile? 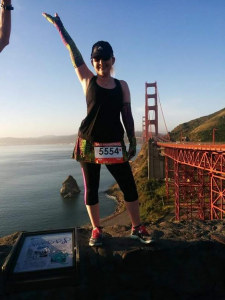 For Jennifer Jansonius, it’s the knowledge that if she doesn’t run now, and give her daughter a memory of her as a strong and active person, she might miss her shot forever. After repeatedly suffering several broken bones after the birth of her daughter, Jansonius, 33, was diagnosed with a hypophosphatasia, a rare metabolic disease that softens the bones due to defective mineralization. Doctors cautioned Jansonius that strenuous activity like running could lead to permanently broken bones. Jansonius knows she may eventually need a wheelchair, but she wants her now 5-year-old to remember her as strong and active. 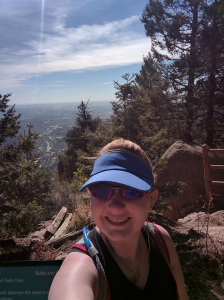 Running and the community of runners she’s met have also helped Jansonius cope with the stress of her diagnosis and an uncertain future. Earlier this year, she completed the Boston Marathon, in defiance of both her doctors and–at least initially–the Boston Athletic Association, which organizes the 26-mile race. Folks talked to Jansonius about running against the odds, rethinking her goals and more. The following excerpts have been edited for clarity and brevity. Have you always been into running? Jennifer Jansonius began breaking bones after the birth of her first daughter. For the most part I’ve always been into running. I ran a lot with my dad as a little kid. I ran all through high school. I was varsity cross country. I kind of stopped running when I got to my twenties. You get lazy, and then you have a kid, and then you try to lose that baby weight, and that’s about the time I got back into running. And unfortunately, that was also just about the time that I started breaking my breaking my bones. Tell me about your diagnosis. What was your reaction? I still don’t have a lot of answers unfortunately, because mine is so incredibly rare. It’s basically a rare form of an already rare condition. I probably will never have any answers. I won’t know if I’m going to pass this along to my child or what the incidence rate is because they can’t even tell me if it’s dominant or recessive. I don’t know about treatment or if there will ever be treatment for me. Unfortunately, I’m going to have to take it day by day. How do you make peace with that uncertainty? You can either wallow in it or pick up the pieces and move on. Obviously you’re a lot happier and a lot healthier if you keep moving. You can either wallow in [uncertainty] or pick up the pieces and move on. Obviously you’re a lot happier and a lot healthier if you keep moving. After applying and getting rejected for the Boston Marathon, the International Para Olympic Committee got involved on your behalf and you got finally accepted to the Marathon in January. What was your training like? Well, it was a bit of an experiment. I had broken my femur again in October and as of the MRI at the end of December, that femur was still healing from an old stress fracture. So unfortunately I found out about a month later than I was supposed to be ready for a full marathon. I went on some medicine to heal my fracture and I trained about eight or nine weeks. I took it slow and easy and essentially had to hope for the best. This was once in a lifetime opportunity. I wasn’t sure that my leg was going to hold up. What happened at the Marathon? I actually ended up the day before the marathon in the emergency room with an anaphylactic reaction. So in addition to all the other things that could’ve gone wrong that also went wrong. But in the end I survived and made the six hour cut off and I finished. That was what we were hoping for. It was an experiment in all things you probably should not do, but they won’t allow you to defer and they basically said, “hey look we’re probably not going to allow you in again.” I’m going to try to appeal that decision next year, just see what happens, but at the time as far as I knew they were only going to allow me this one opportunity so I had to take it. 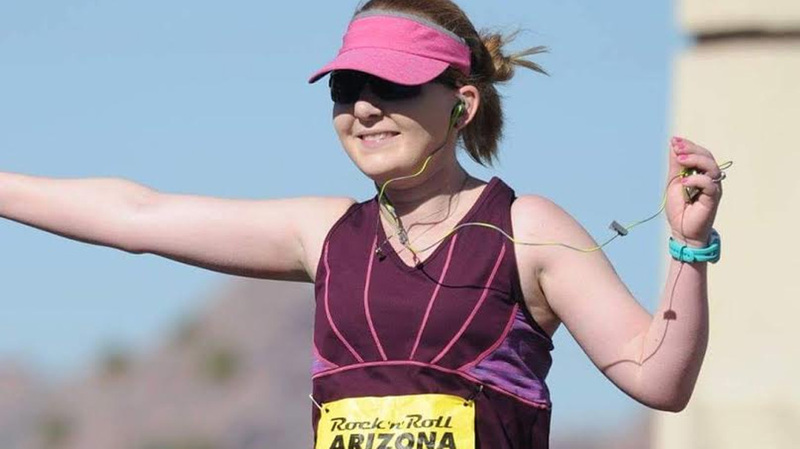 The running community has helped Jennifer deal with the stress of her condition. What did it feel like when you did finish? I was lucky enough to have my husband be able to guide me in for the last eight miles so that was nice. More than anything, it was just something I was really hoping I could do for my daughter. She doesn’t quite understand it yet. I’m just really hoping that several years from now when she remembers her mom she’ll remember the things that I did. Do you plan to run more marathons or other races? What’s next for you? I don’t know. Basically all of the doctors over the years have told me “you know you really shouldn’t run at all let alone marathons.” Marathons have a really, really high risk of me doing damage that I can’t come back from. I’m able to walk marathons pretty safely, it’s the running of the marathons that have kind of a 50/50 for me. If there’s a chance I might to do Boston or do New York, or maybe do some fundraising then I’ll probably only do the ones that are the once in a lifetime opportunities. Eventually my body’s going to stop allowing me to do these. It’s just a matter of when and how. Is there anything that you’d like readers to know about your story? I’m really really hoping that maybe just one person realizes that bad things may happen but it’s not necessarily the end of everything. 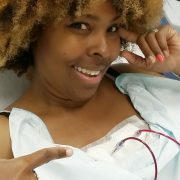 When I first was diagnosed, I honestly thought my life was over. I cried, I was just a mess, I went online. That’s the first thing everybody does. I couldn’t find a single story, a single person like me that had a skeletal disorder that was still running. So for me that was really really difficult because at 30 they’re talking about needing a wheelchair. It was really just a lot to comprehend. I’m really really hoping that maybe just one person realizes that bad things may happen but it’s not necessarily the end of everything. You might have to change your plans a little bit. It may not be exactly what you thought it would be. But there is still that opportunity to do the things you always wanted to do or to realize those dreams, and just not to give up on that. It took me a long time to figure out that I could still accomplish all those things I wanted to, just because there was no one like me out there.